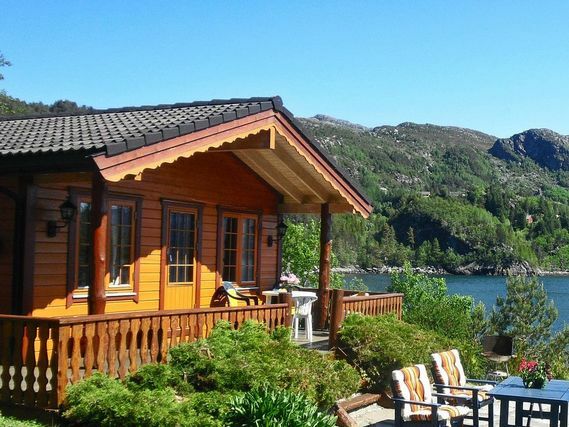 Fjordabu cabin is about 62 m2 with accommodation for 6-7 guests. 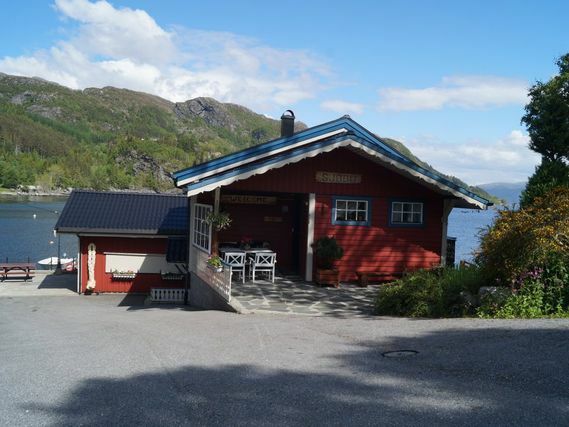 Fjordabu is located directly by the water with a fantastic view over the Nordfjord. The cabin is spacious with a cozy living room with fireplace. The kitchen is well equipped with integrated appliances. From the living room you have direct access to a furnished terrace. The cabin has two bedrooms, one with double bed and one with two bunk beds. The bathroom has a shower and toilet. The cabin also has a separate storage room for fishing equipment. 16 ft boat at your disposal is included in the rental price. Low season from March to April: 571 £ per week. High season from June to August: 633 £ per week. Low season from September to October: 571 £ per week. 16 ft boat with 15 horsepower engine included in the price. Low season from March to April: 519 £ per week. High season from June to August: 545 £ per week. Low season from September to October: 519 £ per week.